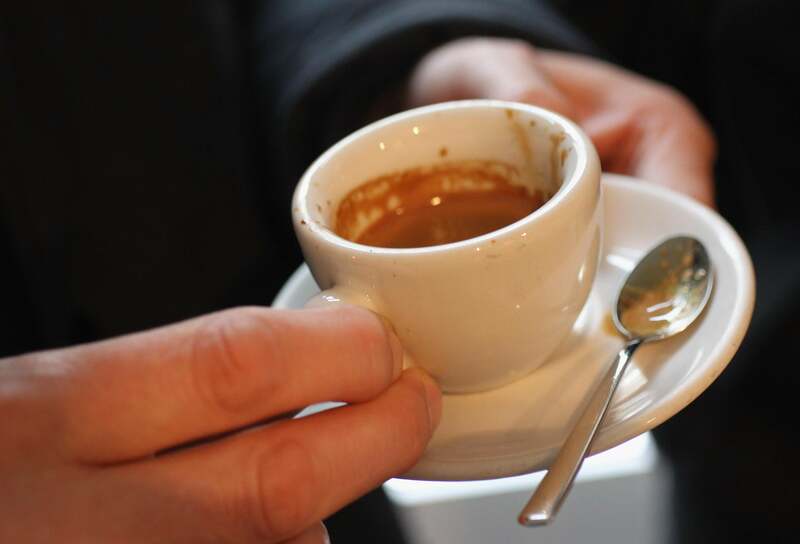 Espresso: Why is this coffee drink so popular? What’s So Great About Espresso? A customer samples freshly brewed espresso at Bonanza Coffee Roasters in 2011 in Berlin. Just three experiences with an espresso “god shot” and you would have your answer. As a barista in the many cafés I’ve owned, I’ve watched countless customers turn from passive, generally disinterested coffee consumers into evangelizing espresso snobs on the back of just three experience with this “elixir of the gods.” See, once you have developed a taste for the finest espresso, you just can’t drink the other stuff. Espresso is a process of coffee-making that was developed during the past century by the same Italian culture that has given the world such delights as the classic Barolo, Brunello, and Bolgheri wines; gelato ice cream and the dessert tiramisu; fashion brands such as Gucci, Versace, and Prada; jewelery labels such as Bulgari and Luxottica; and cars like the Ferrari, Alfa Romeo, and Lamborghini. So Italy is a culture that you can trust to deliver quality and taste perfection, and that’s what they have also done with their espresso coffee brewing method. At its simplest level, the espresso coffee brewing method extracts the best without the worst of coffee’s taste components. It’s the only coffee brewing method that can extract the best of the 800 aromatic compounds found in roasted coffee without including the naturally occurring chlorogenic acids or more commonly categorized as tannins or tannic acids. If poorly processed, these tannic acids can leach into the coffee brew, adding an astringent bitter taste that is characteristic of so many other brewing methods. Uses the finest ground particles that can form the perfect resistance to an optimal high-pressure and high-temperature brewing process, so it can express the best of the aromatic compounds. Other methods use a courser grind with minimal pressure and inconsistent temperatures, often leaving the best coffee oils still trapped within these larger coffee particles and not extracted into the cup. Delivers optimal consistency to every cup by machine automating many of the steps in the brewing process, which eliminates the variances and degrading outcomes caused by erring human estimations. Delivers the long-lingering, caramelized aftertaste with its concentration and high viscosity of emulsified coffee oils that become trapped by taste receptors on the back of the tongue and throat. This slowly releases the dissolved aromatic compounds for up to 20 minutes after consumption. Has the shortest brewing cycle (20-25 seconds), which ensures that the tannic acid that occurs naturally in coffee beans with concentrations in the outer shell does not have the opportunity to break down and leach into and add bitterness to the cup as other coffee-making methods are prone to do. Which coffee/espresso machine has the best user interface? What are some tips for making a great latte or cappuccino? How can I make a homemade mocha that tastes as good as Starbucks?